However, this year our actual anniversary day was a little consumed with preparation for upcoming deadlines and unexpected mishaps. So we waited till this weekend to celebrate. For us, it was a prefect weekend to celebrate our marriage but it could equally be a great date night or two. I planned a wine appreciation class for us at a local area winery. 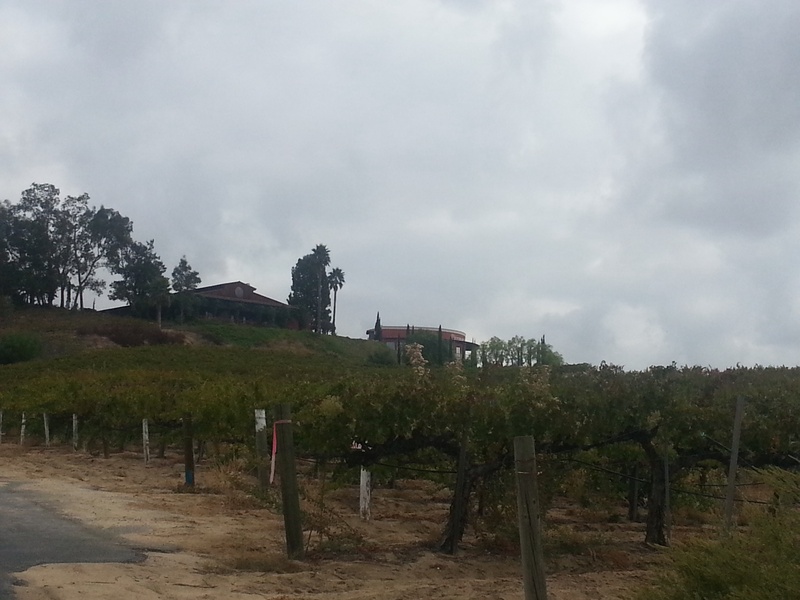 (If you don’t have a local winery, look in your area for local fare. It maybe beer, whiskey, artisan breads, cheeses, or even chocolate. Every area has something it’s known for.) In our class, we would get a private tour of the winery, education on different grapes, growth, and how wine is made. 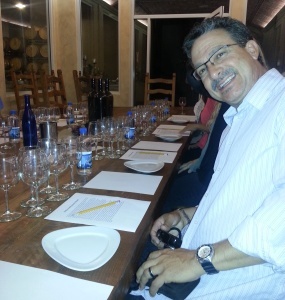 Additionally, the wine tasting allowed for a one on one experience in seeing the differences in various wines, learning what makes each wine different, “how to taste with sight, smell and taste” as well as beginning pairing. At the end of the day, we went to lunch at their attached restaurant and enjoyed a wonderful meal, sans any wine as we had plenty at the tasting. The whole day, while fun and filled with new learning, was quite relaxing and a fun way to hang as just the adults. 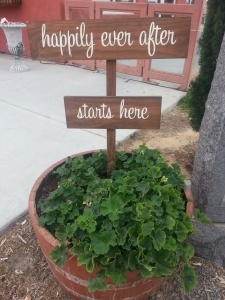 If by chance your local area (and our wineries are about an hour and half drive) doesn’t have wineries but you want to do wine tasting, check Google and search for local wine shops and boutiques. These almost always offer tasting, which can be equally as fun! Now my husband and I happen to love live theater but Broadway is not in our backyard and not in our budget. But there are tons of large, medium and small playhouses around here and I bet would be around your local area too. 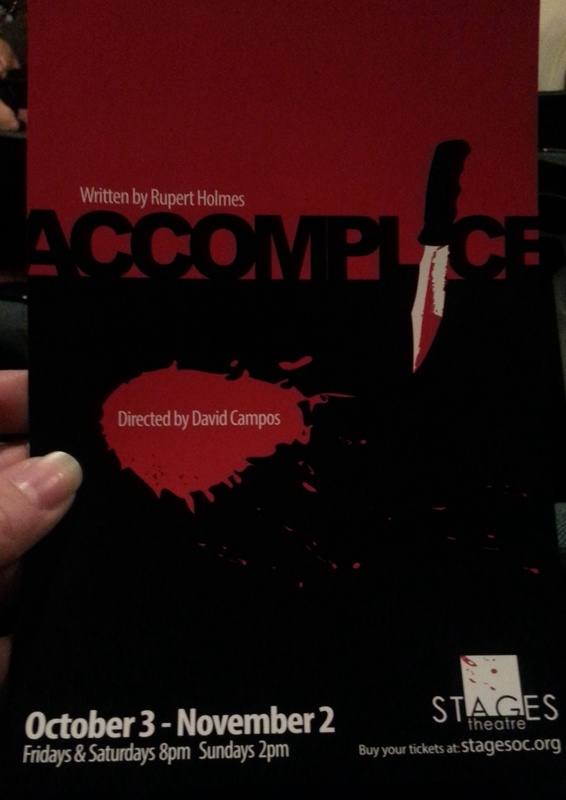 For our anniversary, my mother got us tickets to a local small live theater production of Accomplice. It was extremely small and intimate only holding 70 people but that’s what made it even better. The performers were right there and became personally involved in the production with the audience. It was really quite wonderful. From a date perspective, small playhouses usually are affordable and are usually located near fun restaurants for a dinner afterwards. The facilities usually make for a seating setup that you can get a great view from where ever you are sat. It’s a perfect setting for holding hands and other sweet little affectionate acts. From a cultural sense, you get exposed to plays or features you might not otherwise. 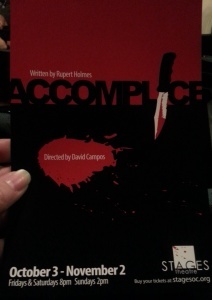 For example, Accomplice is something I had never heard of and I’d probably have passed on it for something I knew better at a larger playhouse where tickets cost more. Despite the fact the tickets were a gift, I would have been more inclined to try something out of my comfort zone knowing if I hated it, I hadn’t wasted a lot of money. That said, the play was awesome! It kept us laughing, intrigued and very much trying to figure out all the plot twists and turns. Highly recommend. In the end our anniversary weekend was wonderful beyond measure but we would definitely do either as a date night again!